TK checks out a new St. Blues guitar, a photo by joespake on Flickr. 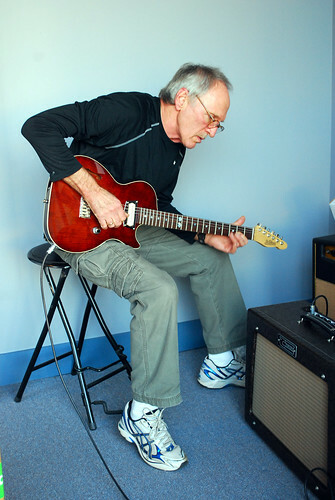 Tom Keckler, known to most of the guitar world as TK. Checks out a custom built St. Blues guitar, made for Tim Price.